The President of Azerbaijan said his country has never been stronger, more free and independent, in a speech following a referendum on constitutional reform held on Monday (26 September) and backed by over 91% of the population. 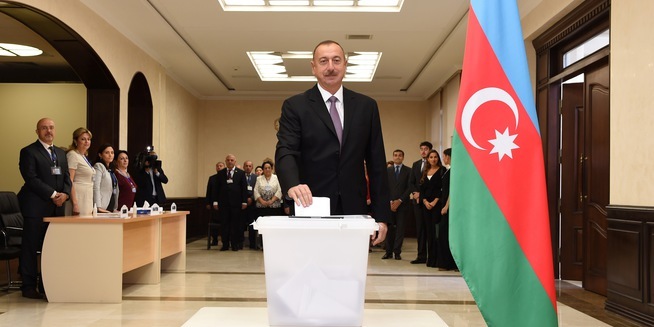 Azerbaijanis went to the polls on 26 September in a referendum on handing extra powers to the president Ilham Aliyev, with opposition and human rights groups criticising the proposed constitutional changes as undemocratic. Azerbaijanis went to the polls today (26 September) in a controversial referendum on handing extra powers to long-serving President Ilham Aliyev, with opposition and human rights groups criticising the proposed constitutional changes as undemocratic. Aliyev, 54, who succeeded his father as president, can seek re-election indefinitely, after a maximum number of terms in office was scrapped via a similar referendum seven years ago. The authorities say a longer presidential term will ensure continuity in decision-making, which they say is vital after a slump in world oil prices halted Azerbaijan’s long run of economic growth. Azerbaijan, a major energy exporter, is suffering from the fall in oil prices, and is also grappling with a strategic dilemma when it comes to the country’s position in the region, writes Geopolitical Futures. Apart from the high vote in favour of extending the presidential term, there had also been strong support for another 28 amendments to the constitution, the election commission said. Turnout was 69.7%. Opposition and rights activists criticised the amendments, which also give the president the right to declare an early presidential election at his convenience, as well as dissolve parliament. Ahead of the vote, experts of the Council of Europe, a rights and monitoring body, said many of the proposed amendments being voted on would severely upset the balance of power by giving “unprecedented” powers to the president. European observers from the Parliamentary Assembly of the Council of Europe (PACE) recognised the referendum results, but called on the Azeri authorities to improve the voting process. Speaking yesterday (27 September) at a ceremony for the opening of the Heydar Alyiev Center, named after his father, in the city of Sumgayit, the president expressed satisfaction from the referendum results. 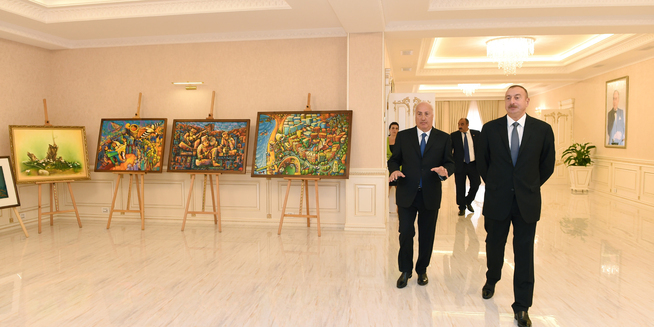 “The vast majority of the Azerbaijani people voted for the Referendum Act, supported our proposals,” said Aliyev. The state election commission said a vast majority of the 91.2% of voters who turned out in a referendum in the Caspian Sea oil-producer had backed the move. The referendum once again showed the great confidence of the people in the state policy, Aliyev said. “Without this confidence, it would be difficult to protect our country’s national interests on international arena”, he added, as quoted by APA agency. The president pointed out that the April fighting over Nagorno Karabakh had shown the strength of the Azerbaijani army. 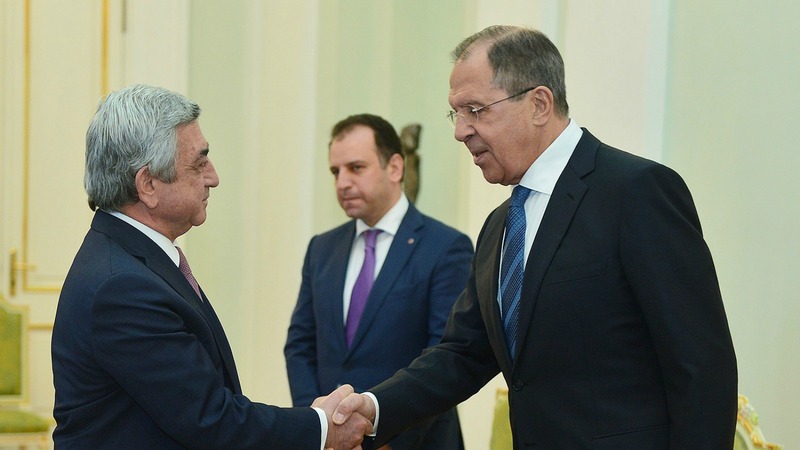 The latest military escalation in Nagorno-Karabakh, which began 1 April and ended four days later, was the most violent bout of fighting to take place there since the end of the 1988-1994 Nagorno-Karabakh War. Meanwhile, the fighting has breathed new life into diplomatic efforts to resolve the conflict. In the coming weeks, the level of diplomatic activity on the Nagorno-Karabakh issue will continue to be higher than usual, writes Stratfor. Aliyev also made reference to the economic crisis which affected his country. 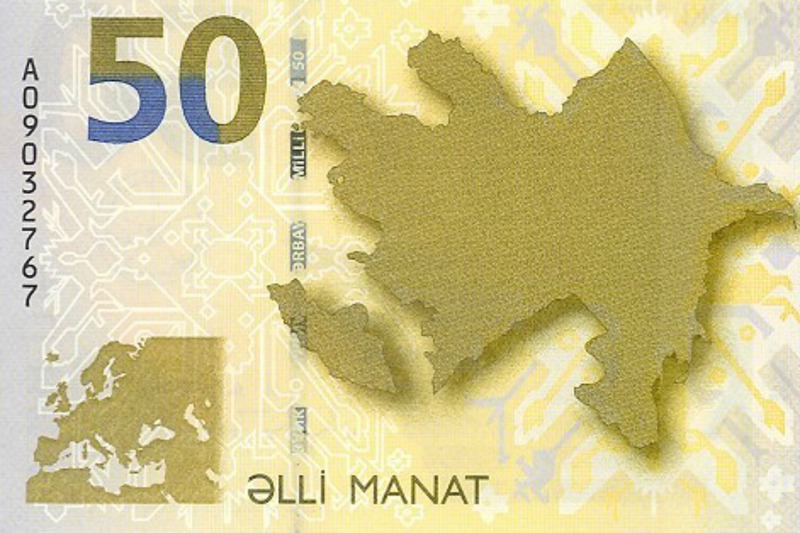 Azeribaijan’s central bank devalued the manat on Saturday (21 February) by 33.5% to the dollar and by 30% to the euro, as slumping oil prices and an economic crisis in major trading partner Russia put pressure on the currency. “Despite that the economic crisis continues in the world, Azerbaijan is confidently developing in the economic sphere and all the social projects are being realised,” he said. 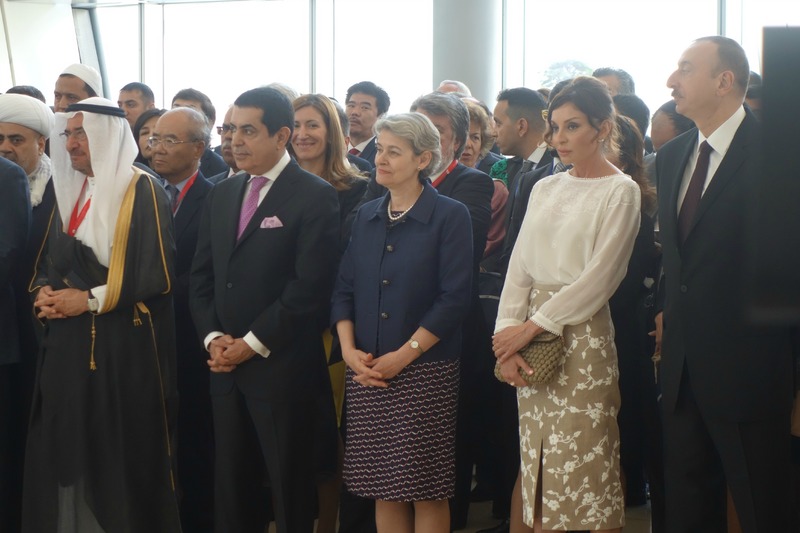 “Our energy policy is of great importance not only for our country, but also for our region and the world. Azerbaijan is a leading country in terms of ensuring energy security. We implement huge industrial projects,” he added. 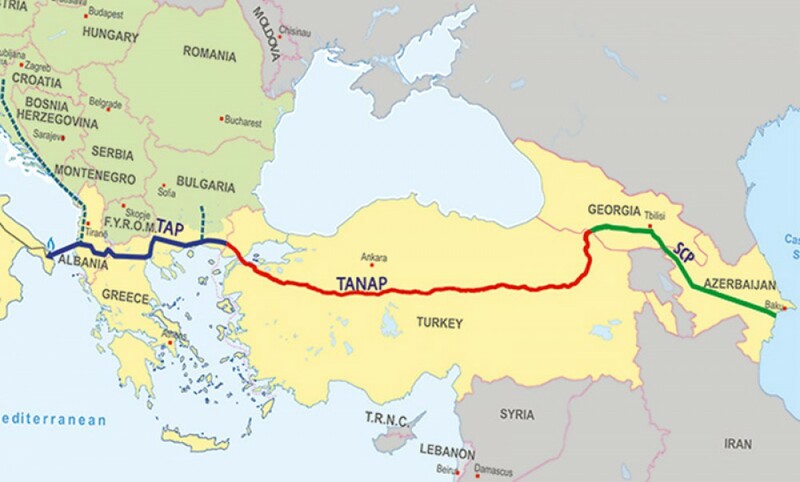 The Southern Gas Corridor, a project of pipelines to bring new gas supplies to Europe, is reportedly running on time and on budget. The Southern Gas Corridor, a project of pipelines to bring new gas supplies to Europe, is running on time and on budget, a BP senior executive said today (12 May). “As you know, this year has been declared the Year of Multiculturalism in Azerbaijan. Representatives of all nations, religions live in our country as one family. These are the Azerbaijani realities. The people highly appreciate these realities and the referendum results are based exactly on this,” he further said. Azerbaijan holds international forums on multiculturalism on an annual basis. Baku is hosting a world forum on intercultural dialogue, conveying the message that if multiculturalism was failing in some European countries, it is alive and kicking in Azerbaijan and could be an example to the world. EURACTIV reports from Baku. In his speech, Aliyev stressed that his country was independent from world powers. With respect to the European Union, Azerbaijan is not seeking association, but prefers a relation of the type the EU has with South Korea or Australia. “Anyone intending to dictate to us from abroad in the future should think twice. Firstly, we do not talk with anyone through dictates. We do not accept this attitude. Secondly and most importantly, we do not depend on anyone,” he added. “Our policy consists of this: to rely only on our own strength, not to be dependent on anyone politically or financially, not to owe anyone, and determine our own fate by ourselves,” Aliyev stressed. “Throughout the history, Azerbaijan has never been as strong, free and independent as now. We know the history well. There have been states, various forms of public governance on Azerbaijan’s territory at different times. But the current period is a real period of independence,” said Aliyev. 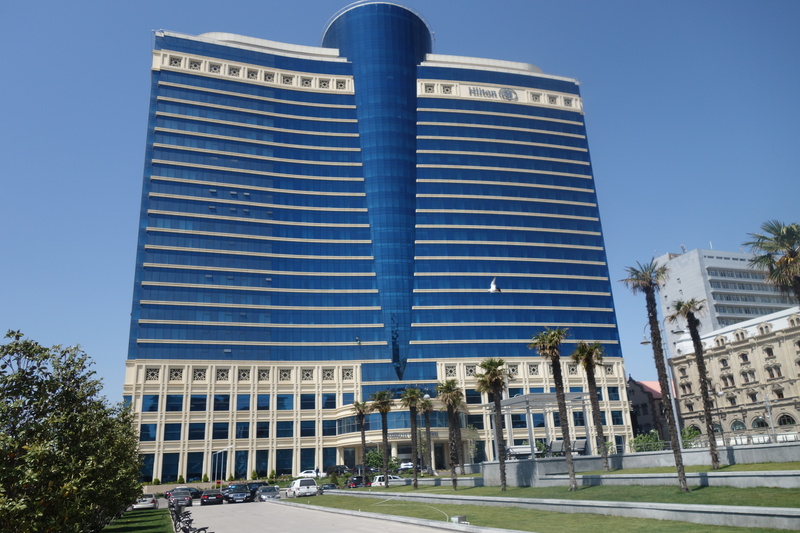 The Azerbaijan Democratic Republic proclaimed its independence in 1918, but the country was incorporated into the Soviet Union in 1920 as the Azerbaijan Soviet Socialist Republic. The modern Republic of Azerbaijan proclaimed its independence on 30 August 1991, prior to the dissolution of the USSR in December 1991.